and we'd love to share their reviews with you. 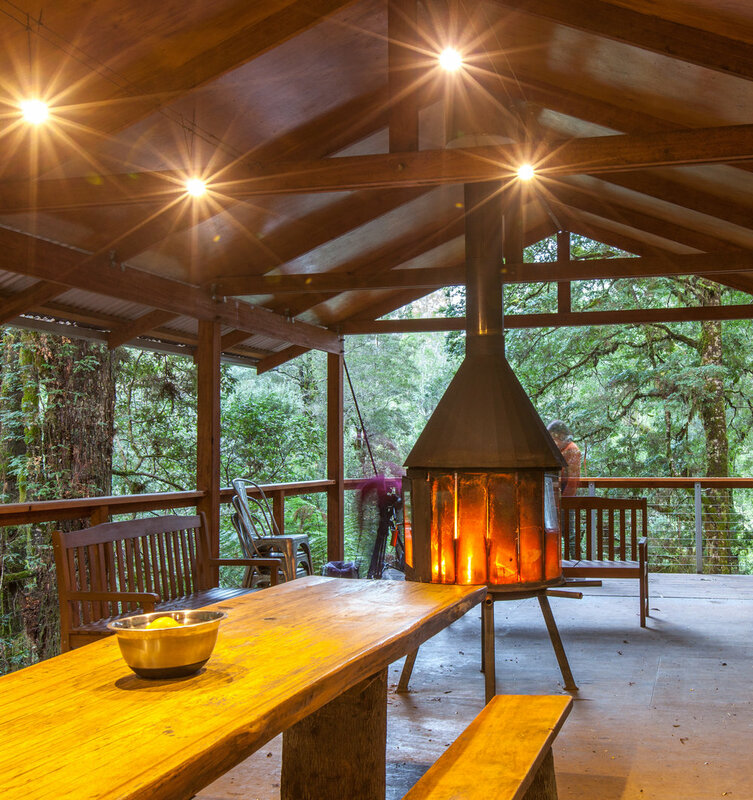 Staying with Tarkine Trails at Tiger Ridge, under the towering canopies of the endless and ancient rainforest, was a quite transcendent experience. Think about it: you’re in a small perch hidden in a forest in that few people have heard about, let alone ever visited, on a vast swathe of land where no one – not even our indigenous people – has ever settled. The Tarkine Trails guides are truly people of the land, in that all their learning is backed not only by science but most importantly has come through living in and becoming ensconced in these wild places. The type of learning they transfer to you about the ecosystem and the history of the land you’re living in can’t be taught from books alone; it involves your senses: eyes, smell and mostly your ears. You’re paying in part for the delicious food, drink and hospitality, but mostly you’re paying for the world-class interpretation of the takayna/Tarkine area. There’s nothing difficult in understanding the issues facing the takayna/Tarkine and the information is presented clearly, with humour and with contagious passion. There’s a story in every fungus, every river, every leaf; many stories in fact. Everyone who left Tiger Ridge that week went home with not just an ability to spread new knowledge but a yearning to. This unique piece of Australia simply must be protected. “Immersion was absolute in the stunning natural wilderness. Our group of 9 friends traveled into the Tarkine to stay at Tiger Ridge base camp as part of the Tarkine Rainforest Walk four day experience. Our guides Dan and Mic were friendly, helpful and very knowledgeable. We were treated to excellent food and drinks in the magical surrounds of this pristine and very precious part of the world. Our delicious evening sun-downers and meals were served around the warmth and glow of a glass enclosed pot belly fire surrounded and overlooking the ancient trees and ferns. The guided walks into the forest were an immersion into beauty, tranquility and the wonder of nature. What a privilege to be able to live in this virtually untouched landscape in such comfort. Highly recommended for all nature lovers. We had an incredible time at the Tarkine. The guides were thoughtful, caring and very informative. The food awesome and the experience to be in this remote, ancient rainforest simply stunning. Thank you for letting me have such a memorable time. 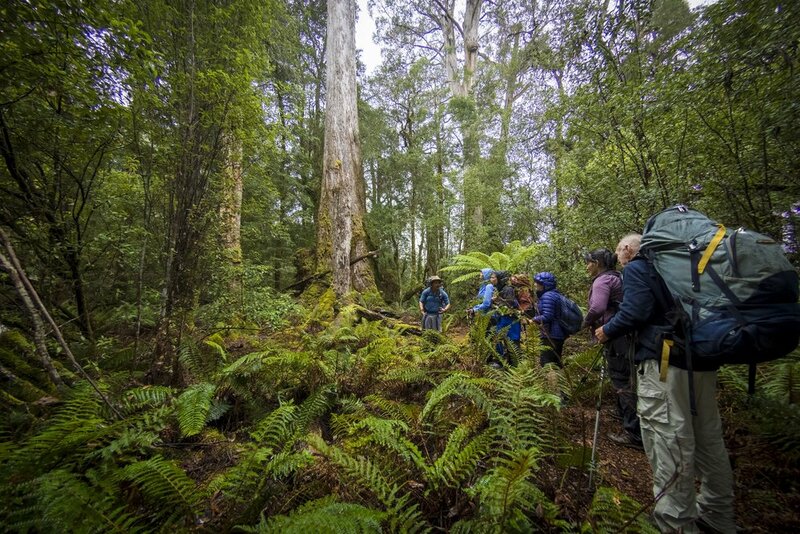 Head over to Trip Advisor for more detailed reviews on Tarkine Trails.